In 2010, Dr. Fung founded a kettlebell class fused with physical health-fitness-wellness in collaboration with the Cushman Wellness Center called Kettlebell & Physiokinetic Fitness. It was soon recognized as a 2011 Finalist for Best Alternative Exercise Studio in San Diego for integrating physical wellness and health-fitness. This class is attended by a range of individuals from novices who want to take charge of their health to U.S. Marine recruits who wish to maximize their functional performance. In this class, a free musculoskeletal functional screen is included along with constant assessment and re-assessments of form, technique, and safety. Additionally, personalized exercise prescriptions and attention is given during each session in an encouraging environment for individuals to learn and progress at their own pace. The instructors of this class give so much attention to personal needs that even students with knee replacements, old back injuries, and bothersome shoulders have come to great success through Dr. Fung's philosophy of fitting the program to the person (rather than fitting a person into a rigid program). 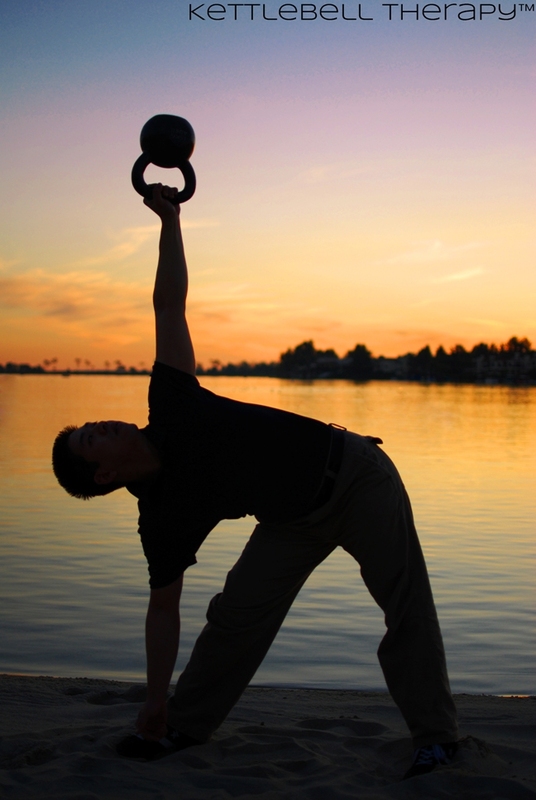 Click here to register for Kettlebell & Physiokinetic Fitness.